← NFL Pick ‘Em Season 4 Divisional Round – Road Warrior Weekend? 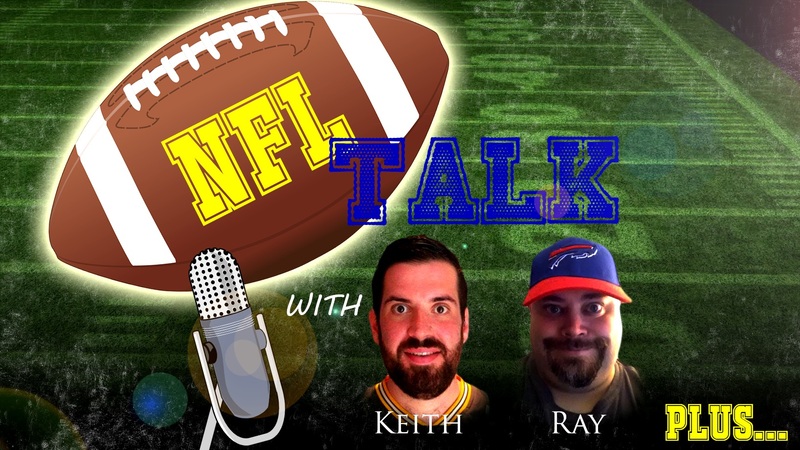 Ehnother Podcast Proudly Presents: NFL Talk Plus Episode 9! Sorry that the podcast is a bit late this week, but we had things come up so we recorded as soon as we could. This week we had a LOT of coaching hires happen around the league. In fact, out of the six teams that needed a head coach, five of those positions have been filled. Join Keith and I as we discuss the news of the week, including those coaching hires, and of course delve into the Wildcard Round of the Playoffs. Playoff football continues this week, so enjoy the games, hopefully just after you listen to the pod 🙂 Hope you enjoy the show, and come back next week for more! This entry was posted in NFL Talk Plus, Warlock Wednesdays and tagged Anthony Lynn, Baltimore Ravens, Ben Roesthlisberger, Bill Musgrave, Bud Dupree, Buffalo Bills, Carolina Panthers, Chicago Bears, Denver Broncos, Detroit Lions, Doug Marrone, Football, Green Bay Packers, Greg Roman, Houston Texans, Ian Rapoport, Jack Del Rio, Jacksonville Jaguars, Jordy Nelson, Keith, Leslie Frazier, Los Angeles Chargers, Los Angeles Rams, Maimi Dolphins, Mike McCoy, Mike Smith, New York Giants, NFL, NFL Talk, Norv Turner, Oakland Raiders, Pittsburgh Steelers, Ray, Rueben Randle, San Diego Chargers, Sean McDermott, Sean McVay, Seattle Seahawks, sports, statistics, Steve Wilks, Tampa Bay Buccaneers, Todd Walsh, Tom Coughlin, Tom Savage, Vance Joseph, Wade Phillips, Warlock Hour. Bookmark the permalink.